In my last post (that was over a year ago!) I wrote that I would be switching gears to review “non-iOS non-kids non-learning games”. Well, sometimes life has things in store for us beyond what we plan. Instead of playing non-kids games, I went to work for Kidaptive who develops Leo’s Pad iPad appisodes for preschoolers. I had a fabulous time doing production and design work with Leo (the fictional character inspired by Leonardo DaVinci) and the Kidaptive crew. I left Kidaptive realizing how important characters and story are to children’s educational content, and also to me as a designer. Before Kidaptive, I largely designed games where the mechanics drove the story. I took a Miyamoto approach where gameplay was “less about the story and more about the structure of the gameplay and what makes sense to be presenting to the consumer” (quote reference here). For example, when I was at Will Wright’s Stupid Fun Club, I was always asking myself ways (natural or crazy – it was the Stupid Fun Club:) to explain how a character got herself into a particular situation. Whatever I needed I could do, even if it meant the story was about a UFO abducting a Sim and turning her into a playing card to correspond with the mechanic. At Kidaptive, the characters and world were already established before I arrived. I was forced to ask myself what the characters in each appisode were learning, discovering, and feeling. With Leo’s Pad, I couldn’t come up with just anything that suited the mechanic since that kind of thing didn’t jibe with an early learning curriculum (or our creative director!). And this restriction turned out to be a great thing! 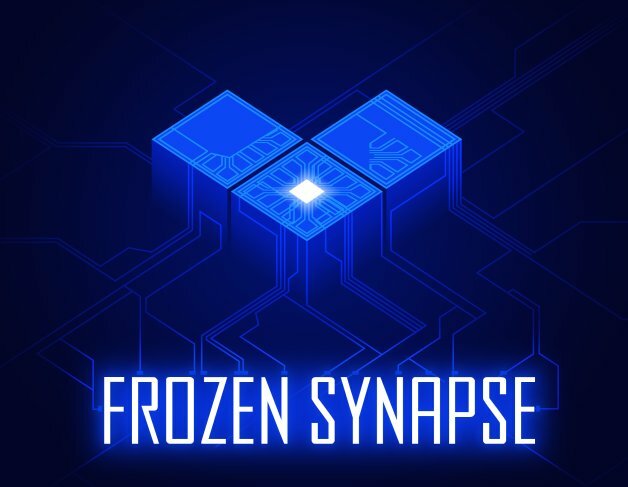 It forced me to design more towards the player’s needs, to change mechanics, and to think differently. Design became less about me and my own perspective, and more about what was best for the player. Along with the narrative, Leo’s Pad is also guided by over 70 learning dimensions from Kidaptive’s curriculum. The goal is for the child to be ready for Kindergarten upon completing a series of appisodes (say 26). My favorite thing about Leo’s Pad is how diverse the curriculum is. In addition to standard lessons that most apps teach such as shape, numbers, and colors, Kidaptive’s curriculum includes cognitive areas such as delayed gratification, executive functions, and growth mindset. 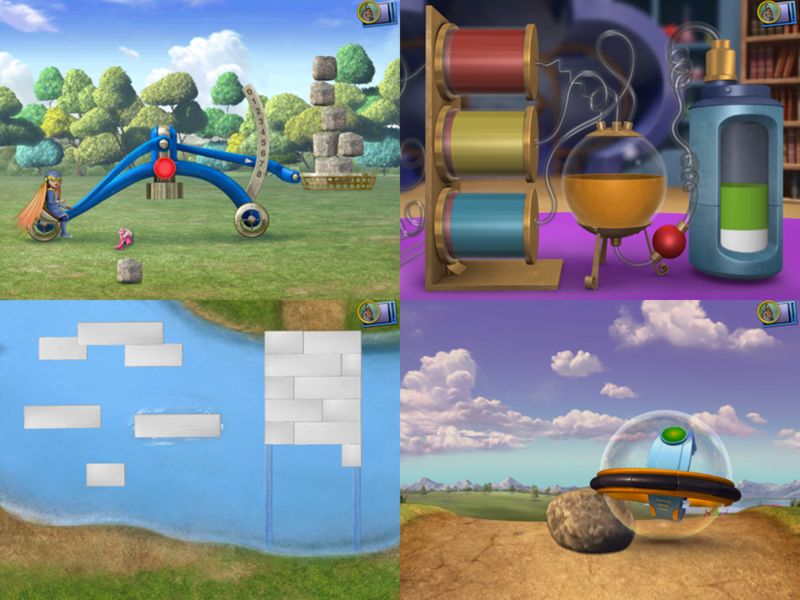 These areas really give Leo’s Pad games depth and variety that I haven’t seen in other apps for kids. This curriculum also allows parents to be informed of their child’s progress via Parent’s Pad. Parents can “identify preschoolers’ achievements and areas for improvement” (Kidaptive.com). The goal is for parents to be able to engage with their child via Parent’s Pad. Parent’s Pad is accessible via password within the Leo’s Pad application. Parents can view “personalized feedback about their child’s academic, cognitive, emotional, and social development”. Adding these restrictions of characters, story, learning dimensions, and parents to the standard constraints of resources, time, money, and being a start-up, you can start to understand that the production of Leo’s Pad is quite involved. Add to that, the computer graphics work is done in India by Kidaptive CEO’s former company Prana Studios (Kidaptive is based in Palo Alto, CA). With all of these stakeholders and needs to be met, I am proud of what the team I worked with accomplished. I learned a tremendous amount from Kidaptive, and after all, that is what they’re all about! I was reminded that anytime you put the player’s needs before your own, good things will happen. It’s easy to lose sight of the user, we’ve all done it. It’s too often that I have taken part in, observed, and read about a company’s focus getting shifted from the user to the technology, money, investors, people problems, designers, fame, and ego to name a few. We have to remember to bring focus back to the user, this reminder isn’t directed at Kidaptive, if anything it’s a reminder to myself. This topic deserves a whole blog post on its own, or maybe an entire blog? Perhaps tinamakesgames.com? Stay tuned! The breadth and depth of the Kidaptive team. While at Kidaptive, I had the opportunity to work with an outstanding multidisciplinary team that included learning scientists, writer/storyteller, curriculum designers, community manager, product manager, 2D artists, 3D artists, composer, audio engineer, designers, engineers, and of course kid testers! It takes a village to raise a child, and a melting pot to create a children’s app. Using characters, songs, narrative, and games to engage the child. This point is related to the bullet above, but I can’t emphasize it enough. All of these elements together keep kids wanting to play Leo’s Pad. Often our playtesters’ eyes would light up with Leo’s Pad because they got to watch, sing, and interact with Leo and his friends. Each game focuses on one or more learning dimensions that come from a very diverse curriculum. I haven’t seen other apps use such a wide variety of learning goals/mechanics/tasks as Kidaptive does. For example, in Appisode 1, the child can play Catapult Game and send Leo flying by counting and adding the correct number of rocks. In Appisode 2, Fuel Mixing requires the child to follow the correct sequence and set of instructions to make the right formula of rocket fuel. In Appisode 3, GyroRacer has the child control the GyroRacer vehicle (swipe on green, but not on red!) to practice inhibition control. 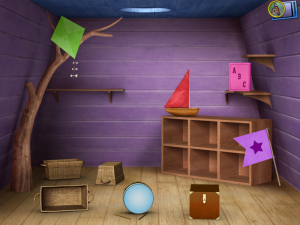 In Appisode 4, the serene Plank Combinations game lets the child use various lengths of boards to build planks to practice measurement and magnitude. Images below. bridge using different combinations of boards. Various levels of feedback. First off, Leo’s Pad uses adaptive leveling so that gameplay is not too difficult or too easy. If a child is struggling with gameplay, the game will adapt and become easier. Conversely, if a child is excelling, the game will adapt and become harder. The various levels of feedback that Leo’s Pad uses for a particular problem are also helpful to a child. Leo’s Pad often follows Sesame Workshop Best Practices for tablet experiences for preschoolers. Sesame suggests that the first time a child gets a problem wrong the feedback recognizes the incorrect answer and encourages the child to try again. The second failed attempt includes the above and additional feedback of restating the objective and a hint. The third failed attempt includes all of the above and the correct answer. One example of good feedback is in the Appisode 4 Pattern Stitching game (full disclosure that I created this feedback). The first incorrect response says the stitches were incorrect and visual feedback is broken stitches. The second incorrect response again says it was not correct, and adds colored visual cues to help the child with the pattern. After the third incorrect response, the child is stepped through the pattern. Two holes highlight at a time for the child to stitch together until she is done with the pattern. See image below for visual feedback. Try again voice-over feedback is woven throughout (no pun intended). two holes highlight at a time for child to stitch until he/she has completed pattern. In Find Cinder, feedback for incorrect answers ranges from “is she behind something shaped like a star” to “she might be behind the purple flag” depending on the number of attempts the child has made. Another good example (that I did not create) is in Appisode 1 Find Cinder. The child’s goal is to find Cinder who’s hiding behind an object. 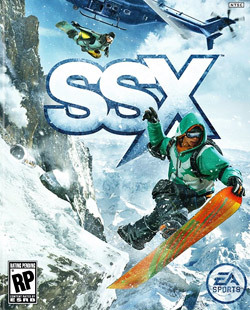 See image above for game screen. After each incorrect answer the feedback becomes more detailed. The first incorrect response says “Is she behind something that’s purple?” The second incorrect response is “You can do it. Is she behind something shaped like a star?” After another incorrect it says “That’s a triangle. The shape she’s behind has more sides. Try the purple star.” After yet another incorrect it says “She might be behind the purple flag.” Lastly, if the child still doesn’t get it correct, Leo says “I think I know where she is” and Cinder appears from behind the correct answer. Empowering themes. Leo’s Pad emphasizes positive ideas and subjects such as teamwork, making a plan, research, hard work, practice, persistence, being imaginative, and asking for help. Leo will say things like “3-2-1, let’s invent some fun”, “when you have a dream, never let it go”, “if things get hard, keep trying”, “if you can imagine it, you can do it”, and “use the tools inside your toolkit…as you try try try again”. Incorporates advanced concepts. Leo’s Pad gives preschoolers exposure to advanced concepts like gravity. Leo’s Pad doesn’t expect preschoolers to fully understand these concepts, but I think that mentioning them is great. It plants the seed for being aware that such things as gravity exist. Another example is the molecules in Appisode 4 Object Rotator game, they are all are real-world molecules. Even though the child won’t realize they are real, the contact with them is still there. Also, if a parent notices the molecules, they could explain to the child that molecules really are complex structures. The time that the child has to anticipate the task and celebrate the reward is not long enough, or not emphasized enough. Part of the fun for kids is the anticipation that comes along with an event. Kids might suggest that they dislike waiting, but in reality they enjoy it (to a certain degree and amount of time of course). Waiting gives children a chance to imagine all the possibilities. The suspense and wonder about what’s for lunch, who will come to their birthday party, or what gifts they’ll receive for Christmas gives a lot of excitement to kids. Will it be cheese pizza for lunch (MMmmm…I hope so!) or will it be that football shaped chicken (ugg, not again!)? Will Scarlet and Laynden come to my party? Will I get a bicycle? Or a new soccer ball? Similarly, kids need time to celebrate the reward. You wouldn’t just give a soccer ball to a child and take it right back, would you? No, you would let him play with the ball until he says he’s done. In video games, I like to see the result of what I helped the character get as my reward for completing the task. Whether that’s Link using a key to unlock a gate and release a carpenter, Sackboy wearing a costume that I found, or Maxwell climbing a ladder to reach the Starite. I realize visual feedback is difficult to achieve in every game scenario, but when it’s viable it should be done. The child doesn’t always realize that they’re doing a particular task, or that it is for the characters. 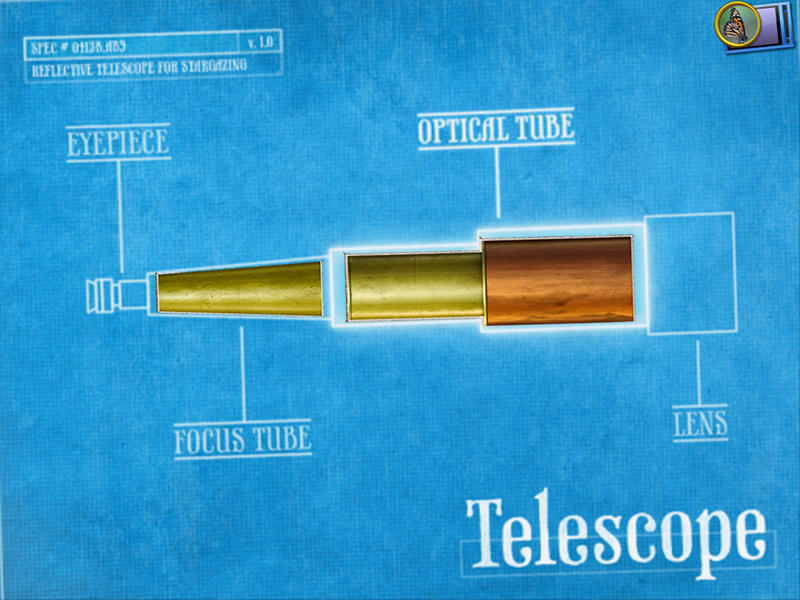 For example, in Appisode 1 the child makes a telescope for Leo to give to Gally. Before the game begins Leo says “We have to make Gally’s present now…Gally loves looking at the stars, so I thought we could build him a telescope”. The accompanying visual to this voice over is Leo talking to the player, but Leo’s not holding any telescope parts, or even a picture of a telescope. Throughout the game, visual feedback of a blueprint-style drawing is shown to indicate progress of building the telescope. 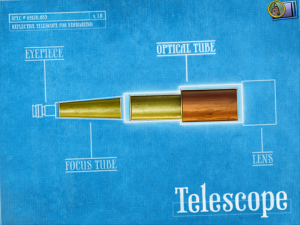 However, interactivity uses realistic telescope parts. This blueprint feedback does not clearly communicate that the child is building a telescope. At this point in the game the learner may not know what he’s building, or that it’s a present from Leo to Gally. See below for screenshots of cinematic and gameplay. In the cinematic before Telescope Game, Leo does not describe a telescope or hold up a picture of one. To alleviate these problems, the blueprint feedback should include images of the interactive telescope parts that the learner has built. See below for a visual example that I mocked up. The part that the learner just built should be highlighted in the entire context of the telescope. This feedback would give the child a frame of reference for the task he’s completing, and how much left he has to complete. At the end of the game, Leo could take the telescope, put it in a box, and wrap it in fun paper so it’s clear that it’s a present for someone. Even if the child doesn’t know who the present is for, he’ll understand that he made a present, and that is a great reward. To help the child realize they are building a telescope, visual feedback should incorporate interactive telescope parts in the blueprint outline. 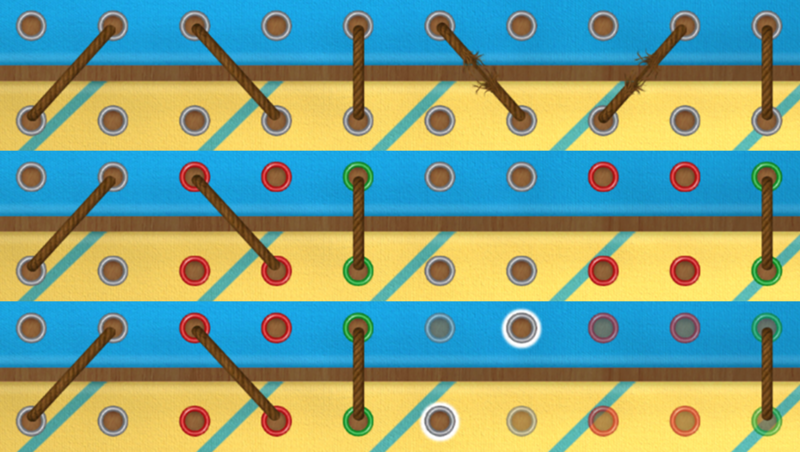 Another example is the pattern stitching game in Appisode 4. 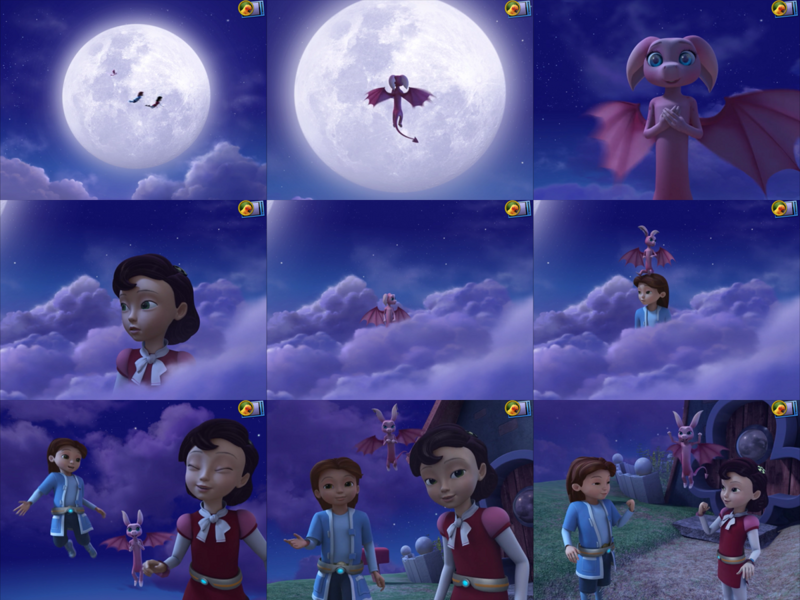 As shown in the screenshots below, the before game cinematic shots and after game cinematic shots are nearly identical. It’s as if the child didn’t modify the world. This feedback is confusing for any user, regardless of age. Stitching game. It looks as if the child didn’t contribute to Leo’s world with his/her gameplay. Using too much animation (ie., non-interactive sequences) to teach gameplay. Kids don’t want to watch to learn, they want to play to learn! All tutorials should be interactive, not watching Leo or a “white hand” perform a task. Often these white hands are confusing. They even trick me into thinking I’m performing the task, and then I feel foolish when I figure out that it’s programmatically implemented. Are parents ready for Parent’s Pad? NPR’s All Tech Considered recently aired a series titled Raising Digital Natives: Technology and Our Kids. This series focused on parents’ concerns about our digital natives. It seems to me there is still a lot of fear about what all this tech means, and that parents and educators are still trying to figure out if all these screens help kids learn. I feel that Kidaptive is assuming that parents are not only ready to embrace the technology, but that parents trust it enough to let it evaluate their child’s learning. Is the information in Parent’s Pad going to be an accurate reflection of the child, and how will Kidaptive relay the information to parents? I have lots of questions within these questions. First off, what happens if a child doesn’t like a game because of the mechanic (as opposed to the learning goal)? It may appear that the child is trailing in a particular learning dimension, but it could be because the child doesn’t think the games are fun. Or, what happens if the child struggles with a game because the UI/UX of the game isn’t intuitive? Maybe the child is confused about the directions and the task she’s being asked to perform. In thinking about these issues, I was reminded of my PhD work. For my dissertation, I had hundreds of people complete a mental rotation task that was fairly easy to understand. That is, people clearly understood the instructions and what they were asked to do, but the task itself could be complicated to perform. As simple as the instructions were, for each subject I a) had them read a set of written instructions b) explained the task verbally c) had them do a few practice trials with my assistance d) had them do some more practice trials without my assistance and e) let them ask me any questions. I then had them complete either 40 or 160 trials (depending on task) so I could evaluate their performance with statistical significance. When someone completed my experiment I was confident of their results in relation to other people (there is a natural variation between people in their spatial abilities). So, one day when a young woman asked me how she performed I didn’t hesitate to tell her. I told her that her results were below average. Her face turned bright red and her confidence was crushed. I tried to recover and tell her that her results weren’t indicative of her success in school or life, that she could practice and get better at the task, but the damage was done. Be cautious of file size. App is getting to be really heavy (over 700MB). I’ve heard users say they delete the biggest apps first when they run out of space. I’ve also heard users say the brand has to be very well known (e.g., Disney) to warrant downloading such a big app. More emphasis on the task that the child is doing for the characters, and more celebration for when the child has successfully completed the task and helped the characters. The chapter navigation short-cut for a game should include the cinematic portion that introduces the game. 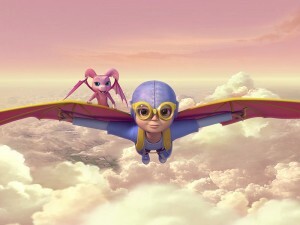 This sequence will help the child be aware that she is helping the characters. Too much voice over, instead use more visual cues. If voice over must be used, spread it out in between user interactions. Don’t have Leo explain everything at once with no interactivity available. Quality not quantity. It is extremely difficult to meet parents’ expectations of publishing frequent new appisodes and not sacrifice quality to meet the demand. In one review though, a parent said that he thought the appisodes played like a “prototype”. It worries me when customers start to see quality taking a backseat. Instead of letting any UI/UX slip, the games could be simpler and the cinematic slower. Limit the scope and put extra focus on small details. Games don’t have to have lots of animation and special effects to be fun, and Leo doesn’t have to visit so many locations in one appisode. Separate Parent’s Pad from Leo’s Pad and make them two different applications. The Parent’s Pad UI is cumbersome within the Leo’s Pad application; it unnecessarily adds buttons to a children’s UI. The Leo’s Pad app should be for the child. The Parent’s Pad app should be for the parent. At the 2013 Game Developer’s Conference I went to a talk given by Carla Fisher (who’s both a game designer and mother) and she was the first person that I’ve heard talk about the downsides to “parent dashboards” or “progress metrics”. Carla recognized that some parents may “freak out” when they learn their child only got two of five correct, or that they’re behind in a particular area. She suggested that data be reported in a contextualized way, and I agree with her. Parent dashboards should be presented mindfully and the data should be shown in various ways. Let parents know that their child worked on letters, but don’t leave them upset with no context on how to fix the problem. I found this out the hard way with my dissertation, and I can only imagine how a person would react if it was their child and not themselves in question. I personally would rather put the emphasis on practicing various learning dimensions rather than using games as a way of evaluating a child’s learning. Let kids play, give them wholesome content, and encourage them to love learning. Play is how children learn and process information. There will be plenty of opportunity down the line for evaluation. In one review a mother wrote “Personally, I don’t care if he’s Kindergarden (sic) ready as much as I care that he feels education is inspiring rather than defeating.” I agree with this comment and I aim to continue to create apps that influence kids to be curious, compassionate, and love learning.